During the run-up to the November 12 release of my first book, Junkyard Planet: Travels in the Billion Dollar Trash Trade, every weekday I’m posting a new photo taken during my decade of reporting on the global waste, recycling, refurbishment, and repair trade. Today’s scene was photographed in 1974 by Bruce McAlister, as part of the Documerica project commissioned by the US Environmental Protection Agency. Click to enlarge. 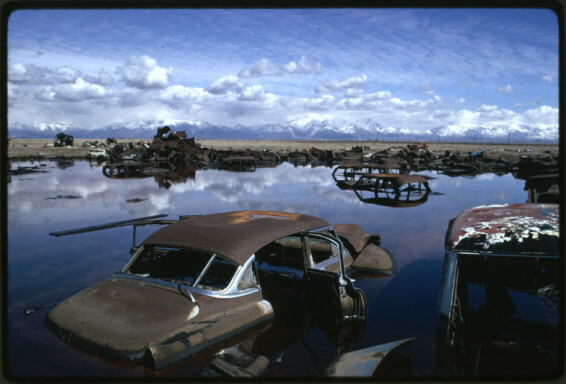 At the time this public domain image was shot, abandoned cars were among the most serious environmental crises facing the United States. Estimates vary, but in 1970 General Motors – theoretically, a knowledgeable source – estimated that there were at least 40 million cars abandoned in public places across the United States. In 1967, New York City reported 70,000 cars were abandoned on its streets, alone. By scale, and seriousness, abandoned cars exceeded any waste disposal problem before or since (including the so-called “e-waste” crisis). And then, suddenly, the problem went away (in effect, the photo above is a scene from a lost junkyard planet). Over the next few days I’m going to offer up some images that explain, in part, how.